Concentric circles are coplanar circles that share the same center. However, radii of concentric circles are not congruent or equal. The circles above are examples of concentric circles. Notice that the radius of the smaller circle is shown in black while the radius of the big circle is shown in red. The region outside the smaller circle but inside the big circle is called annulus. To name a circle, we use the name of the center. Since concentric circles have the same center, you may wonder how to name concentric circles. 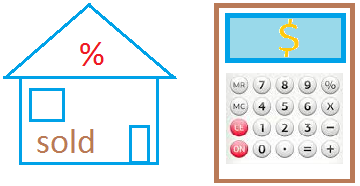 You may use the radii to that end! 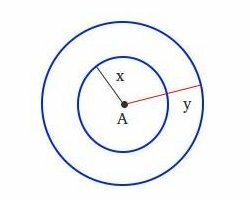 For example, to name the big circle, you could say circle with center A and radius Y.